Email – what did we without it? Chairs with wheels – right? Heat and A/C – even if it’s never the right temperature. Small wins – being able to check something simple off a to-do list. Cool coworkers – how awful would it be without them? Fresh coffee – or any coffee, really. Your superpowers – you’re what makes your chamber what it is. 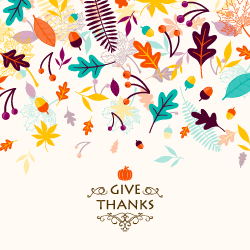 In the spirit of Thanksgiving, we would like to express our sincere gratitude for our customers, our employees, and for everyone in the ChamberMaster family. 44 low-cost (and free) ideas to reduce employee turnover.